Lost Heaven MP is unofficial modification for Mafia: The City of Lost Heaven. It brings playing with other players, racing, walking in the streets and shooting around. MP allows to play with custom gamemodes written in Squirrel. What about fighting in clubs, driving around city or just going around? Boring? Forget it, you can do these things with your friends or new people, creating families and groups, stopping everybody on the road, racing, shooting, smiling, everything! No game files were harmed. Lot of interesting things are coming! Multiplayer is running on any Mafia version. Squirrel? 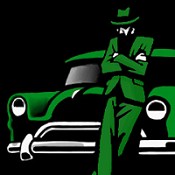 Is it the 'Mafia Game' scripting language, that we all know and use, as in the default Mafia 1 language, or is it a different one? Didn't really understand. Nevertheless awesome mod. I support this! Squirrel is our choice, because MP doesn't use mission scripts. There would be problems with using same script on every computer, so better solution is calling engine functions with Squirrel directly. For ex. Mafia 2 uses Lua as scripting lang (as far I know), but M2MP developers decided to use Squirrel, too. Sweet. It'll be great practice I guess. Can't wait for MP! Our website is under construction. We are moving to a new server. This can take a few days. Please, vote for your preffered scripting language in LH:MP at http://lh-mp.eu/forum/viewtopic.php?f=4&t=120. Great work ZaKlaus! I can't wait for this to take off. Loving the improvements. When it does there will be about 50 of us running around Lost Heaven, like the characters in the game really came to life! ZaKlaus, will you be able to play certain animations by typing them in? "Gest04.i3d", "NudaStativ.i3d", etc. Oh boy oh boy oh boy!!! So excited about this! AsaSK: Currently it's only possible to play animation, which is in our native array (therefore has ID). Maybe I will make second way how to play anims via anim name. I feel guilty when somebody thanks me for nothing. It is these kinds of mods that inspire me to learn how to program. I don't have a single clue on how you guys pull this off. Adding new functions to an existing game and knowing how the core programming works... It's mind boggling. I wouldn't even know where to start. 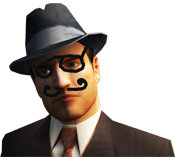 I've once played the old Mafia MP mod (The one by MadKilla) a few years ago with Cukier. It was really special to be playing the game I've always experienced offline suddenly online. Unfortunately it was far from completion and had many bugs. I'm glad you guys are finally doing it! Yes, I've played that Mafia:MP too. It was good job done in that years. At this moment, custom maps aren't officially supported but it isn't hard to play custom maps actually. Cukier and I tried racemap from Fair Play mission for example. It was working .